Carver Yachts custom vinyl graphic decal stickers available exclusively at Great Lakes Skipper. These are original Carver boat decals manufactured by Carver Yachts. 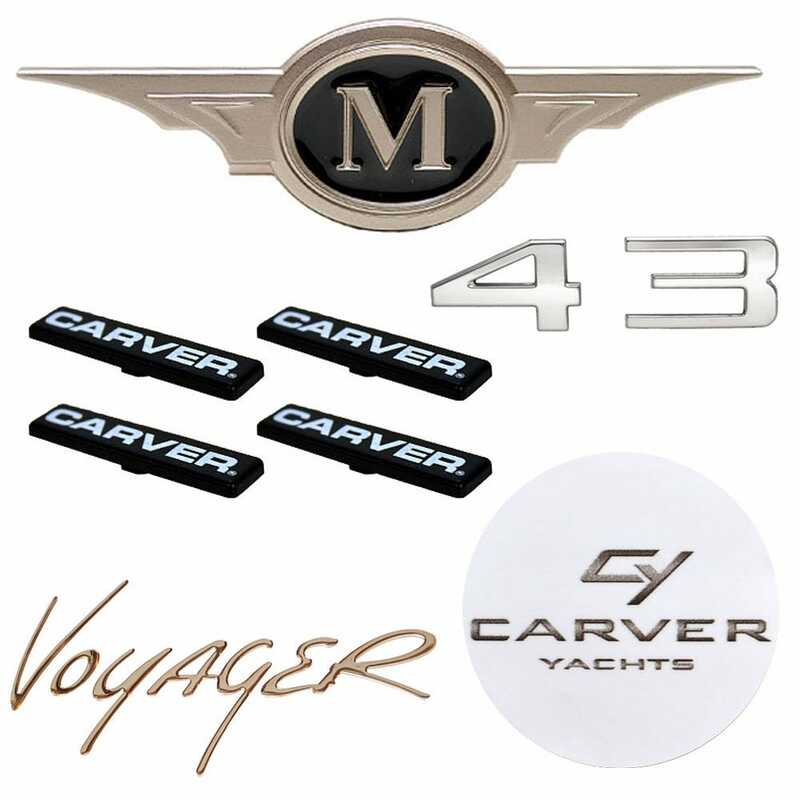 Made from durable marine vinyl, these decal stickers are the perfect marine accessories for your Carver Yacht or Carver boats. Why settle for expensive imitation replacement decal stickers when you can buy the OEM decal stickers for our everyday low price? Revitalize your boat with colorful Carver boat decal stickers and boat lettering graphics. At Great Lakes Skipper we bring you value for your boat parts and marine supplies needs with access to thousands of new marine equipment, marine accessories and marine boat parts.